Young people who drink heavily may be at risk of fatal liver disease. Dr. Elliot Tapper has treated a lot of patients, but this one stood out. "His whole body was yellow," Tapper remembers. "He could hardly move. It was difficult for him to breathe, and he wasn't eating anything." The patient was suffering from chronic liver disease. After years of alcohol use, his liver had stopped filtering his blood. Bilirubin, a yellowish waste compound, was building up in his body and changing his skin color. Disturbing to Tapper, the man was only in his mid-30s – much younger than most liver disease patients. Tapper, a liver specialist and assistant professor of medicine at the University of Michigan Medical School, tried to get the patient to stop drinking. "We had long, tearful conversations," Tapper says, "but he continued to struggle with alcohol addiction." Since then, the young man's condition has continued to deteriorate and Tapper is not optimistic about his chances of survival. It's patient stories like this one that led Tapper to research liver disease in young people. According to a study published Wednesday in BMJ by Tapper and a colleague, fatal liver disease has risen, and young people have been hit the hardest. The study examined the number of deaths resulting from cirrhosis, or scarring of the liver, as well as liver cancer. Data came from the Centers for Disease Control and Prevention and covered the period from 1999 to 2016. The analysis revealed that deaths from liver-related illnesses have increased dramatically, and mortality in young people rose the fastest. Although these illnesses can be caused by several things including obesity and hepatitis C infection, the rise among young Americans was caused by alcohol consumption. The number of 25- to 34-year-olds who died annually from alcohol-related liver disease nearly tripled between 1999 and 2016, from 259 in 1999 to 767 in 2016, an average annual increase of around 10 percent. "What's happening with young people is dismaying to say the least," says Tapper. Certain ethnic groups, like whites and Native Americans, also saw large increases in liver-related deaths in all age groups, while Asian-Americans saw decreases. The rise in alcohol-related deaths overlaps with rising rates of binge drinking from 2002 to 2012 observed across much of the U.S. The authors noted a sharp spike in mortality starting in 2009. The reason for the spike is unclear, but Dr. Neehar Parikh, a liver specialist at the University of Michigan Medical School and Tapper's co-author, has a theory. "It correlates with the global financial crisis," Parikh says. "We hypothesize that there may be a loss of opportunity, and the psychological burden that comes with that may have driven some of those patients to abusive drinking." The increase among younger Americans is particularly troubling, because it kills people in the prime of their life. "Each young patient that dies is a tragedy," says Parikh. "It's years of life lost." The study is the latest to confirm that liver-related illnesses are becoming increasingly prevalent. A report published Tuesday by the CDC shows that the age-adjusted death rate from liver cancer has increased 43 percent since 2000. And a recent study of veterans found that cirrhosis cases nearly doubled between 2001 and 2013. But Dr. Vijay Shah, who heads the Division of Gastroenterology and Hepatology at the Mayo Clinic and was not involved with this research, says that the study's emphasis on young Americans is new. "Alcohol-related liver cirrhosis used to be considered a disease that would happen after 30 years of heavy alcohol consumption," Shah says. "But this study is showing that these problems are actually occurring in individuals in their 20s and 30s." "There has been a shift in the kind of patient we're seeing," agrees Dr. Sumeet Asrani, a liver specialist practicing in Dallas who did not contribute to the study. "It fits with what we see in practice. We're seeing younger and younger patients with alcoholic liver disease." Despite the recent increase, cirrhosis remains a relatively minor cause of death for young Americans, accounting for only 1.4 percent of total deaths in the 25-34 age range. But it's much more significant for young Native Americans, accounting for 6.3 percent of deaths. Tapper thinks the problem is only going to get worse. Some conditions that cause liver trouble, like hepatitis C, have been falling. But other risk factors, including obesity, are on the rise. Alcohol consumption and obesity could interact to worsen liver disease, Tapper says. Tapper says he thinks that policy could play a role in addressing the problem. For instance, strategic taxation of alcoholic beverages could deter consumption, just as raising the taxes on cigarettes has been shown to reduce smoking. He cites the example of Scotland, which recently set minimum prices for units of alcohol to deter binge drinking. He also points to public health interventions, such as counseling, that help people quit drinking. The good news is that liver disease is often reversible. 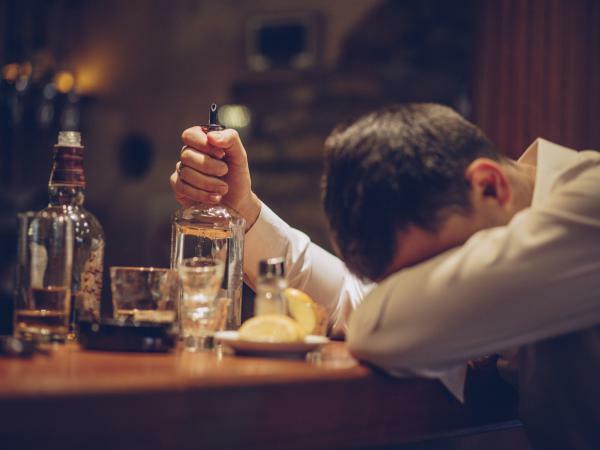 Many patients can recover if they stop drinking soon enough. "I've had patients who came to me in a wheelchair," Tapper says. "Three months later, they're shoveling snow and their lab tests are normal. It's always because they made that choice to stop drinking." Paul Chisholm is an intern with NPR's Science desk.